The Vietnam - Korea Forum recently took place in Hanoi in commemoration of the 25th anniversary of bilateral diplomatic ties. The forum was attended by Vietnamese Deputy Prime Minister Trinh Dinh Dung, VCCI President Vu Tien Loc, and Korean Ambassador to Vietnam Lee Hyuk and representatives from Vietnamese and Korean companies. 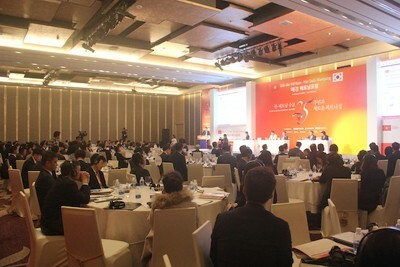 Organised by Korea’s Maekyung Media Group in collaboration with the Vietnam Chamber of Commerce and Industry (VCCI), the forum was considered a special milestone in bilateral cooperation and a significant opportunity to look back on achievements and identify opportunities and advantages as well as difficulties and challenges. The forum also sought measures and solutions to further strengthen bilateral cooperation in such areas as economy, trade, investment and agriculture in the coming time. Speaking at the forum, Mr Chang Dae-Whan, Chairman of Maekyung Media Group, emphasised that the 25th anniversary of Vietnam - the Republic of Korea partnership has achieved miraculous progress in all fields, particularly economics, trade, investment and ODA cooperation. As of October 2017, Korea ranked first among 120 countries and territories investing in Vietnam. The country invested a total of over US$57.1 billion in more than 6,300 projects in Vietnam, accounting for 18.2 per cent of foreign investment value. In the first 10 months of 2017, Korea was among Top 10 foreign investors in the Southeast Asian nation with a total investment of US$7.62 billion, accounting for 27 per cent of total FDI capital in the period. Korea is also the second largest ODA provider for Vietnam after Japan, and Vietnam is the largest recipient of its ODA. It granted US$1.2 billion of preferential loans from the Economic Development Cooperation Fund (EDCF) for the 2012 - 2015 period. In November, the two sides signed a Vietnam - Korea Credit Framework Agreement worth US$1.5 billion for the 2016 - 2020 period. The two-way trade reached US$56 billion in the first 11 months of 2017, up 42.5 per cent year on year. 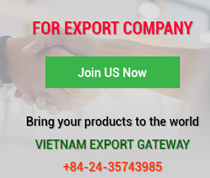 Of the sum, Vietnam's exports reached US$13.4 billion, up 30.4 per cent, and its imports from Korea valued US$42.4 billion, representing a year-on-year growth of 46 per cent. Bilateral cooperation mechanisms continue to be maintained, such as the Joint Ministerial Committee on Cooperation in Nuclear Power, Energy and Industry, and the Intergovernmental Committee on Economic Cooperation. Regarding tourism, Korea has emerged as one of key tourist markets for Vietnam in recent years, second only to China. In the first 11 months of 2017, more than 2.1 million Korean tourists visited Vietnam, up 55.3 per cent year on year. More than 100 direct flights connect the two nations each week. VCCI President Vu Tien Loc frankly admitted that some aspects of two-way cooperation do not come up to expectations. 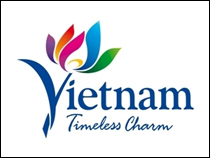 As an agency representative of the Vietnamese business community, I believe that, to achieve sustainable development, Korean companies necessarily accelerate development of supporting industries and boost cooperation with Vietnamese companies to speed up research and development in Vietnam and share experience with Vietnamese partners in building and developing a company into a world-class entity as many Korean companies have done. They also need to train and consult Vietnamese companies to enhance their competitiveness in the new context as this helps both sides to reach higher planes on global value chains. Top Korean business leaders were impressed by the Government's strong determination to accelerate administrative reform and create a favourable business environment for investors. Deputy Prime Minister Trinh Dinh Dung also delivered a speech, expressing Vietnam’s determinations to make Vietnam an attractive investment environment for businesses in the world in general and for Koreans in particular. He pointed out that Vietnam’s economic transformation in the past 30 years is very significant. Extensive economic reforms have been translated into high GDP growth, approximately 7 per cent a year. In 2017, the GDP is expected to expand 6.7 per cent and 6.5-7 per cent in the 2016 - 2020 period. The country’s GDP per capita was forecast to increase to US$2,300 in 2017. Vietnam is striving to be a "trusted business partner" in the international business community and of countries. According to the World Bank (WB)’s 2035 Report, the middle class currently accounts for about 10 per cent of Vietnam’s population and is expected to reach 50 per cent by 2035. 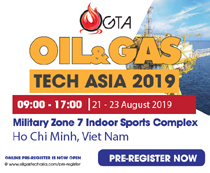 This will increase economic demands and generate better jobs, not only in Vietnam but also in regional and global supply chains where Vietnam will engage more deeply. Vietnam has dynamically and actively advanced international integration and strongly supported global trade freedom. The country has signed and entered 12 free trade agreements (FTAs) and negotiated four new FTAs, aiming to create favourable conditions for foreign investors and businesses, including Koreans, to do business in Vietnam. After 10 years joining the World Trade Organisation (WTO), Vietnam's export and import value in 2017 has increased four times to reach over US$400 billion, or 170 per cent of the gross domestic product (GDP). 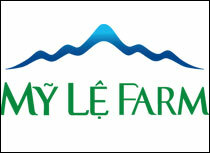 In particular, Vietnam has recently made significant efforts to improve its investment and business environment. 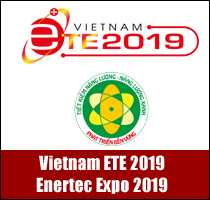 According to prestigious international institutions, enterprises and investors, Vietnam’s competitiveness and business climate has been improved. According to the World Economic Forum (WEF)’s Global Competitiveness Index (GCI) 2017-2018, Vietnam’s rankings climbed 20 places in five latest years to No. 55 out of 137 countries, with its market size ranked No. 31. According to the WB’s Doing Business Report released on October 31, 2017, Vietnam's ease of doing business in 2018 was ranked 68th out of 190 countries and territories, 14 places higher than the previous year (standing among ASEAN-5 countries). To date, foreign investors from 120 countries and territories have invested over US$310 billion in more than 24,200 FDI projects in Vietnam, equivalent to 155 per cent of the nation’s GDP. Korea has become the largest FDI investor in Vietnam with a total investment capital of nearly US$60 billion and more than 6,300 projects, accounting for approximately 18 per cent of total FDI value in Vietnam. Korean investors are present in all economic sectors and are operational in 55 out of 63 provinces and cities in Vietnam. Many leading businesses of Korea have chosen Vietnam to locate their regional manufacturing centres and link to global value chains.